Thoughts: After I finished Grace, I didn't know what to say. It's a really hard book to sum up in a few words. Is it good? Yes. Is it disturbing? Oh yes, but does it have a meaningful message behind it? Absolutely! Grace is based on a dysotopian society where no one is allowed to think for themselves. Everyone must follow the law based on what "The One" views it to be, or he will have you killed. For Grace, her life has been on the other end. She was raised as one of the "People," the ones against "The One." And because Grace is part of the people, she is selected to become an Angel. An Angel is a living bomb, designed to sacrifice herself for the greater good, taking the lives of those run the country will benefit the People. But Grace doesn't want to die. Instead she chooses life and because of this, she must now be on the run. She must leave the life she has always known and escape to the south, away from "The One" and the People. Along the journey, she rendezvous with Kerr. Kerr is a fellow escapee and will help Grace if he can, but will help himself first. If it's between him or Grace, he will choose himself. Throughout the journey, Grace begins to uncover Kerr's true past. His past will shock her to the core. 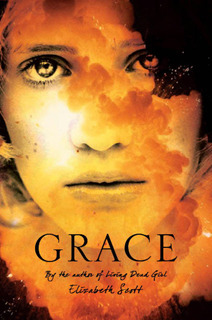 Much like Living Dead Girl, Grace is a story that's too good to put down, but so difficult to continue reading. Some of the subject matters are very disturbing. I know I keep overusing the word disturbing, but there just really isn't a better way for me to describe it. Hey, at least it's beautifully written! One thing I will say, after reading Grace, I was ridiculously grateful to live in the society I do. We may not be perfect, but we are no where near THAT! There are some nights, I stayed up thinking about Grace. I wondered what it would be like to live the way she did and to flee as quickly as she did. Would I be strong enough? Would I be brave enough? I don't know. Overall, I did really enjoy the book, but I don't think I could read it again. Some of the situations were just too intense for me. I would still recommend checking it out. It's a good book that will make you think, well after the book ends. There's a strong message behind it. But fair warning? At times, it will make you cringe. 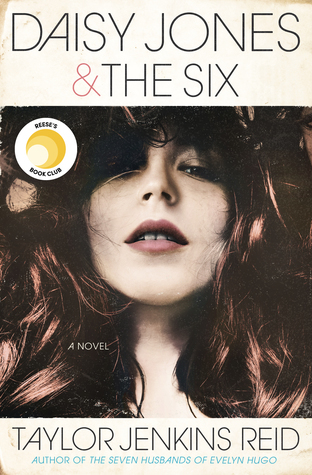 Ooh I don't think I can handle a cringe inducing book at the moment but maybe I'll read it someday. I love a good cringe worthy book! Looking forward to reading it.